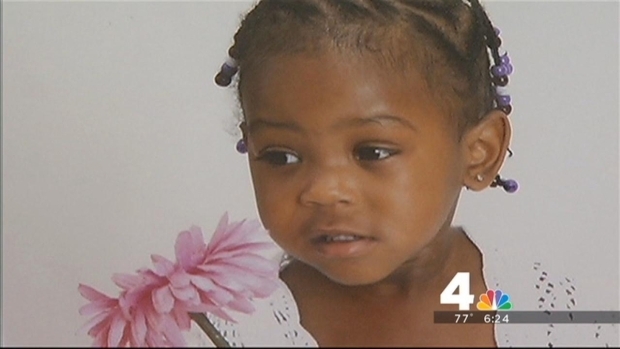 Prince George's County police have nearly doubled a reward for information that leads to the arrest of the man accused in the shooting death of a 3-year-old girl in Landover, Maryland. The FBI has joined local authorities in their search for 25-year-old Davon "Dro" Wallace, expanding their search area and offering up to $45,000 for information that leads to his arrest. Police say Wallace got into an argument over clothing at a home in the 6900 block of Forest Terrace on Aug. 10. He left the residence, came back with a gun and allegedly fired several shots into that same home. One of those bullets struck Knijah Amore Bibb of Northwest D.C., who was visiting her cousins at the time. Police said Wallace's intended target, a boy in his late teens, was not inside the home at the time of the shooting. 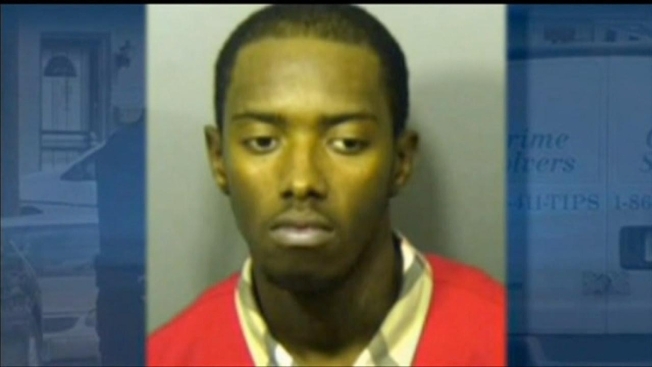 "We will not stop until we find him," Prince George's County Police Chief Mark McGaw said at a news conference Friday. Wallace is facing a first-degree murder charge; he is also wanted on a federal warrant for unlawful flight to avoid prosecution. "Getting this [federal] warrant allows the FBI to do everything we can to help the Prince George's County Police Department in this effort,' Special Agent Stephen Vogt said. Billboards featuring Wallace's picture will be placed strategically along interstates and highways in D.C., Richmond, Virginia, and parts of North Carolina. Police believe Wallace may be receiving help to elude capture in those areas. McGaw said anyone who is helping Wallace will face federal charges for aiding and abetting. "You need to turn yourself in. You took a life that can never be replaced," the little girl's mother told News4 in an interview last month. "I found my daughter laying in blood." Knijah would have turned four this month.